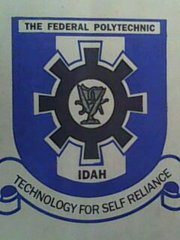 Federal Polytechnic Idah acceptance fee payment details and registration guidelines for ND and HND, 2018/2019 academic session have been released. Candidates who have just been admitted into the polytechnic are hereby notified. Such students are expected to accept the offer of admission by paying the Federal Poly Idah acceptance fee and also follow the guide below to register online. The guide involves steps for payment of Acceptance Fee and School Fees for the 2018/2019 academic session. New students (freshers ND and HND) should read the steps to follow below. If you have not checked your admission status, click here for Federal Poly Idah ND Admission List and the FPI HND admission list. Admitted students are to pay the acceptance fee (N5,000.00) by generating the Remita Retrieval Reference (RRR) number from the polytechnic portal, www.fepoda.edu.ng and then proceed to any bank of your choice with the RRR Number to make the payment. Each student is expected to return the portal to Confirm the Payment after which he/she is allowed to print the ADMISSION/ACCEPTANCE LETTERS and FINANCIAL GUIDE. The student now PAYS SCHOOL FEE as stated in the FINANCIAL GUIDE by generating the Remita Retrieval Reference (RRR) number and taking to the bank of his/her choice for payment. Upon completing the payment in the bank, they are to return to the portal to Confirm the Payment andprint Acknowledgement Slip. ALSO CHECK: Federal Poly Idah School Fees Schedule – 2018/19 [Full/Part-Time] and the released Federal Polytechnic Idah Academic Calendar for the session.